… It has been reported that the glucose and lipid metabolism is disturbed by carbon disulfide both in experimental animals and in exposed workers, but not to conclusive. There is a large body of indirect information associating abnormal energy metabolism in peripheral neuropathies caused by CS2. In Clostridium thermoaceticum Carbon monoxide dehydrogenase CODH has three paramagnetic centers iron-nickel-sulfur, labeled A,B and C. CS2 mimics CO at centre A, competively, thereby most probably alternating parts of it’s enzymologic timing and functionality. (BB) The function of CS2 in the human Acetyl-CoA, remains to be elucidated. 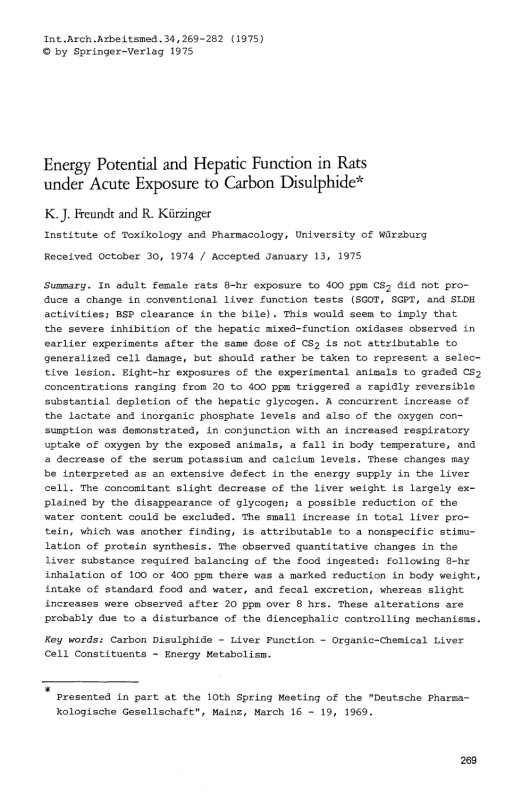 Rats exposed to carbon disulphide displayed different symptoms of intoxication pending on the type of exposure. CC The damage by CS2 is related to the status of Glutathion and its protective role. Glutathion depletion have been shown in rats exposed to high levels of CS2 followed by high exposure. Journal of Ncurochcmistru. 1971, Vol. 18, pp. 177 to 182.
exposure to carbon disulfide. Biochem Pharmacol 17:2489-2493. …One more to come + the hypothesis in short with conclusions and suggestions. Howdy. I just realized that this webpage fails to show correctly in my internet browser. Oh well, I think I am going to just work with the proven Internet Explorer. I put new link in your ref;URL now. So you can see better my friend. :) Tell me how it is working.